Sometimes you just need a car, but credit challenges and limited funds can make it difficult to get a vehicle that is safe and reliable. Although you may think your options are limited, you might be surprised to learn that there are actually decent used cars on the market for under $2000. First of all, you don’t necessarily have to have a lot of cash in your pocket to get into a vehicle. There are options like second chance finance and buy-here-pay-here dealerships that can help you stretch what funds and credit you do have into the best car or truck for your budget. How much cash do you have available to contribute to the purchase? As with most things in life, cash talks. Can you afford a monthly payment? If so, how much? How is your credit? Would you be able to get financing with top lenders (banks, credit unions), or do your credit challenges require you to seek financing with secondary lenders, or directly with a dealer (buy-here-pay-here)? If you have some cash to contribute, a decent income, and great credit history, you will have many options available. But if you are lacking in any of these areas, you are not alone. There are still options. 1️⃣ High mileage does not mean the vehicle is worn out. If a vehicle is taken care of, regular maintenance is performed and parts are replaced as they wear out, any vehicle will last for many years and many miles. Instead of worrying about miles, you should be more concerned with maintenance history, parts that have been replaced, and the overall condition of the vehicle. You might be surprised at how reliable a well-maintained 200,000+ mile vehicle can be. 2️⃣ Knowledge is power. The more you know about the particular make and model that interests you, the better value you will be able to find. There are numerous resources available on the internet for whatever vehicle you are considering. Many makes and models have entire internet forums, websites, and Facebook pages dedicated to diagnosing, repairing and maintaining them. If a vehicle you are interested in needs repair, chances are that you can find answers from other owners about similar problems. Do your homework before you buy so that you know what it will take to repair or maintain any problems your potential purchase might have. This will help you determine whether the fix is a cheap $10 part, or will result in a $500 visit to the repair shop. If you buy a vehicle that you know you can repair easily, you are likely to purchase it at a very good price. We usually have a number of nice cars under $2000, and we add more every day. Check out our inventory here. 3️⃣ Vehicle history reports are full of great background information. If you have settled on a particular car and you are ready to negotiate a deal, it is well worth the money to purchase a vehicle history report. A vehicle history report will tell you about every time the vehicle has been into a shop, and usually tells you what was repaired or serviced. It will tell you how often maintenance was performed, and it will give you a summary of the previous owners of that vehicle. If your vehicle is a clean one-owner, you can expect to have fewer problems than if your vehicle changed hands every few years. 4️⃣ A second opinion can add peace-of-mind. Many mechanics are glad to take a look at your car for you and give you a list of potential problems before you buy. Do not get too discouraged by the list. Take it as an opportunity to negotiate a better deal with the seller, as long as the problems are not too severe. Just because something could become a problem, it doesn’t mean it will. Toyota Corolla: Toyota Corolla is a great car in the compact category. It shouldn’t be hard to find a decent Toyota Corolla older than 2004 for under $2000. Starting in 2003, you still get a more modern body style, so you don’t have to look like you are driving an old car. Toyota has always been known for durability and the Corolla is no exception. Fit and finish are not always the best, and you may have some minor issues to deal with, but you can count on a Corolla to be there for you for years to come and not cost an arm and leg for repairs. Honda Civic: Who doesn’t love a Honda? 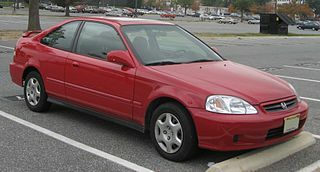 Honda’s are one of the most popular cars on the road and Civics, in particular, are very popular. While civics are wildly popular, especially in the street racing crowd, Civics from the before 2000 are plentiful for under $2000. Honda has a reputation for quality and durability. If a Civic is maintained properly, they are known to keep going well past 300,000 miles. 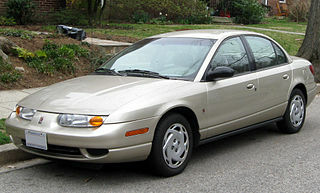 Saturn SL: You probably didn’t know that body panels on Saturn automobiles are literally made out of plastic. This may sound cheap but think about rust. It doesn’t exist on a Saturn, and the panels are very cheap to replace. Saturn SL’s from the mid-1990s may be a little on the ugly side, but they don’t rust, they run forever, and they actually get very good gas mileage. Some say 40+ MPG! Saturn SL’s are worth a look. The car was built up through 2002. Toyota Truck: Toyota trucks just keep going, and going, and going. It’s what they do. Toyota compact pickups from back in the late 1980s and early 1990s were small, economical, had a good payload, and they almost literally run forever. It is not uncommon to see one of these trucks completely rusted out with 500,000 miles, but still running strong. Ford Ranger: Ford built the Ford Ranger compact pickup truck for almost 30 years, with very few changes. The truck was cheap for Ford to build, was in high demand, and has proven to be very reliable. If you are looking for a truck to fit in your budget, the Ford Ranger is a safe bet. You can usually find a variety of Rangers available from before the year 2000 for under $2000. Dodge Grand Caravan: Dodge and Chrysler invented the mini-van back in the eighties. Grand Caravans were built to last. They run seemingly forever and models as new as 2005 can be easily found for under $2000. These vans did not come with a lot of frills, but they are safe and reliable, and relatively cheap to repair and maintain. Toyota Avalon: Avalon may even be considered a Full-size car, but we will classify it midsize here. With typical Toyota quality and durability, Avalon’s from the early 2000’s are a great choice on a budget. Avalon is a cousin to the more luxurious Lexus ES with many of the same features, but without the price tag. Volvo 200 Series: Volvo’s have always been known for safety and reliability. The Volvo 200 series was around through the 1980’s and into the 1990’s. While you have to settle for an older car with a Volvo 200 Series, the technology used in these cars was advanced compared similar American cars of the time. These cars come as sedan and wagon models. Ford Crown Victoria: The Crown Victoria is the ultimate full-size car. It has lots of leg room, and the trunk is bigger than the rear seat area of most competitive models. Crown Victoria has been used in Police service as well as Taxi Service for many years, so they are built tough. 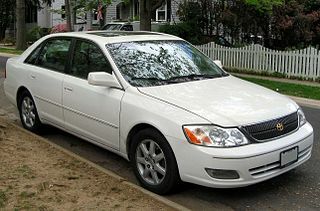 Look for Crown Victoria’s from 2000 model year to 2004 as likely candidates in the $2000 price range. You might also search government and police auctions, as old police version Crown Victoria’s are retired every year and auctioned off at very low prices. Lincoln Town Car: Town Car and Ford Crown Victoria are cousins. They share the same durability, but Town Car does it with more style. Town Car was the preferred car for many limo services for years. They are built for heavy use, they have a very spacious cabin, and they are very comfortable to drive. Look for model years 2004 and older. Just because your budget is limited, does not mean you should be discouraged. Now have the tools to make the right purchase and feel confident in the process. Your options are plentiful when it comes to purchasing a vehicle for under $2000. Remember to do your homework and utilize all of the resources available in your personal network and on the internet. If you go into your vehicle search well educated, you can come away with a great vehicle for not a lot of cash. Fill out the form below for in-house financing. Approval is based on stability, not credit score. We don't check your credit!